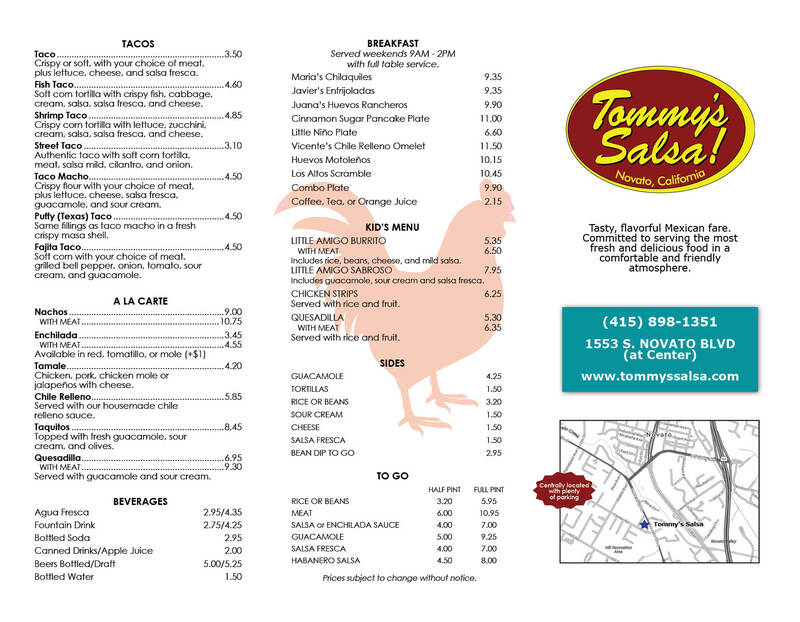 Menus for Tommy’s Salsa Novato Mexican Restaurant. 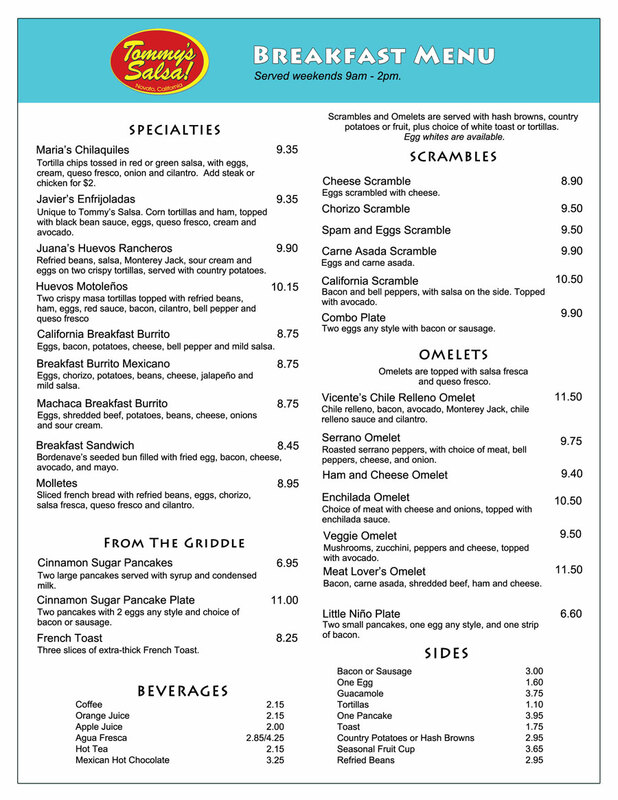 Phone orders are welcome! 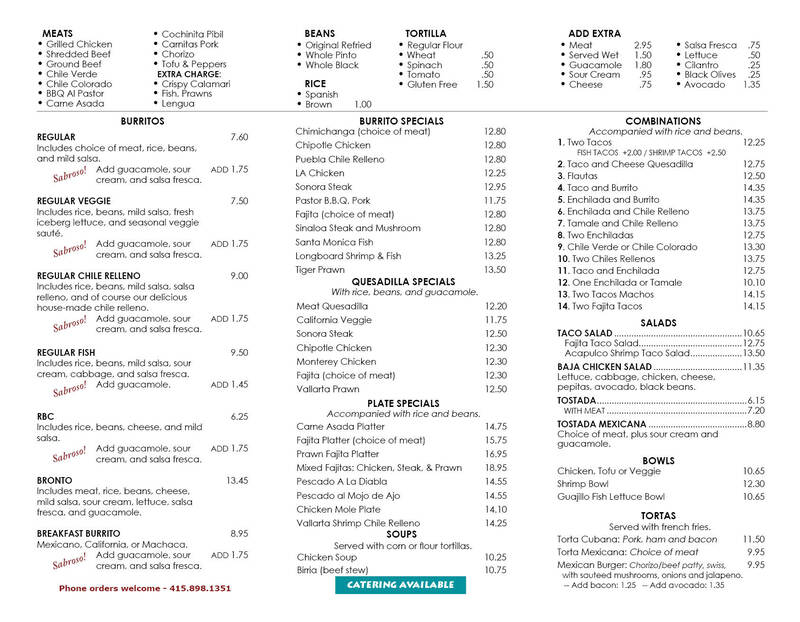 Optional: add guacamole, sour cream and salsa fresca. Accompanied with rice, beans and guacamole. Accompanied with rice and beans.